Happy Holidays, my Puddlers. This is the last installment for this week, but I'll be back on Monday to post the next installment on the list. I hope you are learning a little something about culture as a whole as you follow along. Oh and please remember to watch the NBA all day on Christmas Day, it will really help you out, just in general. By 1951, Nat King Cole had already had a long career as a jazz pianist and band leader and even revolutionized the jazz lineup by using piano, guitar and bass in the era of big bands. By the mid-40’s Cole had become a well known singer and his popularity grew as the 40’s turned into the 50’s. He starred in movies and made hit singles, but in 1951 he released his signature song and perhaps one of the most famous music renditions of all-time in “Unforgettable.” The song immediately became one of the “go to” make out songs and has become completely entwined with popular culture and the idea of a “romantic moment.” Cole’s delivery is perfection and it is without a doubt a classic tune. However, what truly made him the World’s Coolest Dude in 1951 was that “Unforgettable” wasn’t even his most popular song that year; that spot belonged to “Too Young.” The man released his signature song in 1951 and it wasn’t even his best selling record in that same year. It was at this time that he was reaching his peak as a singer and also as the forbidden hearthrob to the middle class American woman. You know you are doing something right when you release your best song, take a break from movies, release your most successful song and become the desire of the average woman all in the same year. After his staggering run as perhaps the most famous writer in the world from the late 1920’s through the 30’s, Hemingway fell on hard times in the 1940’s. By the end of the decade, many people thought he was washed up as a writer. The last straw was the wave of criticism hurled at this book Across the River and Into the Trees. In the wake of that reception, in 1951 Hemingway bunkered down and wrote the first draft of The Old Man and the Sea in eight weeks. 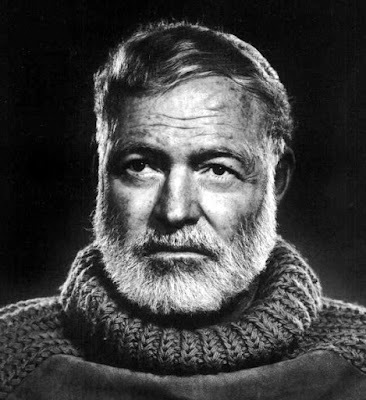 During this period, Hemingway uttered one of his most famous quotes, saying that the Old Man and the Sea was “the best I can write ever for all of my life.” The Old Man and the Sea was published in 1951 and immediately became a best-seller and a sort of cultural phenomenon. Hemingway was awarded the Pulitzer Prize for the novel and it caused the literary world to look back on Hemingway’s works and re-evaluate them. This sounds crazy now, but at the time Hemingway had truly fallen far in the eyes of many people and when they looked back at all his work, of course they found the firm beauty and grace in his stories and novels. When you battle back against public perception, make one of your lasting works late in your life, win the Pulitzer Prize and recognize that you are on the top of your game as an artist, you most certainly are the World’s Coolest Dude. Dwight Eisenhower had already won the World’s Coolest Dude Award in 1944 for his heroism and leadership in the United States Army and his command during D-Day. However, you don’t become a multiple WCD winner without having multiple levels to your influnece as well as the ability to reinvent yourself. The 1953 version of Dwight Eisenhower had become “Ike,” the beloved United States President. Ike had won the 1952 election in a landslide, even with Richard Nixon as his runningmate (in case you didn’t know, Nixon was infamous for his uncoolness). Ike’s victory brough the Republican Party back to the White House for the first time in twenty years and made him the oldest elected president since James Buchanan in 1856. Ike’s main accomplishment was setting the tone for the 1950’s. Now, that tone may have been seen by many as conservative and maintaining the status quo, but that was what America wanted at the time. The 1950’s were an era of prosperity for America and Ike was at the helm. Perhaps the iconic forces of the rest of the 1950’s would have arrived without the “Ike influenced” atmosphere of the 50’s, but it was Ike planting the flag as a steady hand in 1953 that started the slow bubbling of unrest beneath the surface of America. For all of these complications, his widespread love, and his ability to maintain relevant late in life, Dwight “Ike” Eisenhower was the World’s Coolest Dude in 1953. The mid-1950’s begat a series of iconic 20th century figures that was unprecidented in human history. This was mostly due to people more fully understanding the power of movies as well as the development of television. Marlon Brando was the first truly iconic figure (other than Eisenhower, and Brando’s reach stretched further in many ways than Ike’s) of the 1950’s. 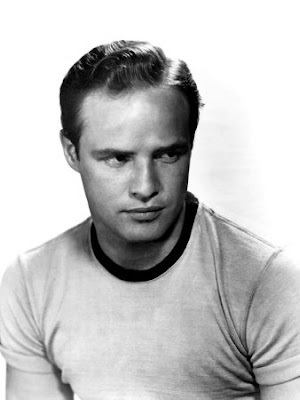 Brando’s run from his first movie The Men in 1950 up until 1954, included A Streetcar Named Desire, Viva Zapata!, Julius Caeser, and The Wild One. He was nominated for the Academy Award for Best Acor in 1951, 1952 and 1953. That run in itself is quite impressive, but in 1954, Brando took his art and stature as an icon to another level. In 1954, Brando starred in On The Waterfront. On The Waterfront features the infamous “Glove Scene” in which many people believe that “method” acting completely manifested itself when Brando bends down to pick up the glove that Eva Marie Saint drops. Brando won the Oscar for Best Actor for his performance and was widely regarded as perhaps the finest actor of his generation. He possessed a certain charisma, danger and vulnerability that had never been present in an actor before. He seemed real even as he became an icon. He’d cemented the rebel “look” in The Wild One and in 1954, in On The Waterfront, he cemented his artistic credibility, which forever led to discussion as to his significance in Western culture. You tell me what’s cooler than that. Let’s just stick to the facts: in 1955, James Dean starred in East of Eden and Rebel Without A Cause. The film adaptation of East of Eden doesn’t get its due because it only covers the last section of Steinbeck’s epic novel, so much of the back story and psychology is missing. However, the film focuses on Adam Trask’s tortured son Cal, played by Dean. Dean moves around the screen and embodies “tortured,” “confused,” and “anguished.” His signature posture in the film is running with his hands in his pockets an odd but effective way to relay Cal’s disconnect. Pair that performance with his already well documented performance in Rebel Without A Cause and you can see why James Dean become the embodiment of the tortured, misunderstood and inevitably cool youth. Whereas Brando was relatable because of his human dirt and bruising demeanor, Dean was relatable because of some kind of “beautiful” torment he relayed. He was nominated for the Academy Award for Best Actor for East of Eden, becoming the first posthumously nominated actor in Academy history. When you become the everlasting symbol for youthful rebellion, anguish and handsomeness, you know you are The World’s Coolest Dude. It’s pretty hard to imagine having a better year than Elvis Presley had in 1956. In March. he released his debut album with its iconic cover that the Clash later made explicit reference to on London Calling. That album featured “Blue Suede Shoes,” which was not one of Elvis’ five number one singles that year. What were the five number one singles? 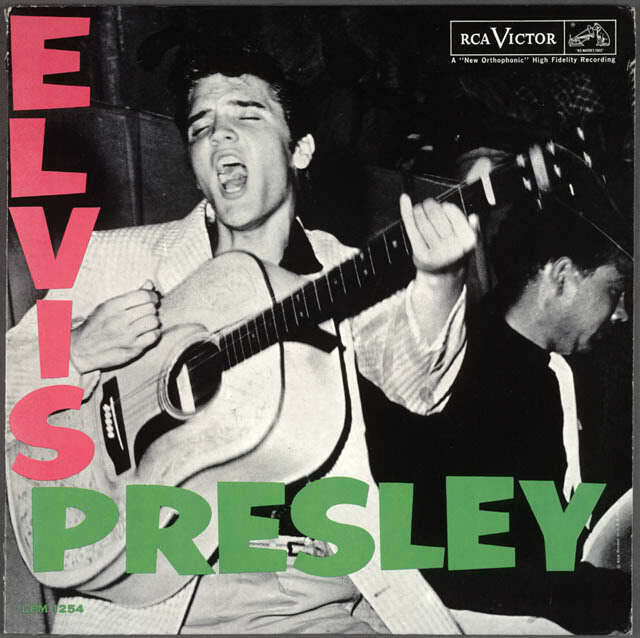 “Heartbreak Hotel,” “Don’t Be Cruel,” Hound Dog,” “Love Me Tender” and “I Want You, I Need You, I Love You.” Elvis’ debut album topped the charts for ten weeks, becoming the first “rock” record to top the popular charts. Elvis may have covered R&B and country standards, but no one had ever sounded like him. Much like the Beatles in 1962-1963, there was a sense that something was happening in this music. In June of 1956, you had Elvis’ infamous performance on the Milton Berle Show, where he did the “ ‘Hound Dog’ dance,” which made mothers faint and censors a lot of money. Presley appeared on the Ed Sullivan Show twice in 1956 and then, in December, swung by Sun Studios to participate in something called the Million Dollar Quartet. OK, so to recap…No, there isn’t going to be any recap. Are you serious? 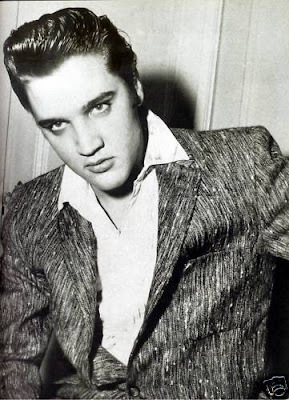 Elvis owned the world in 1956 and changed the trajectory of rock n’ roll music. There was no one more relevent; there was no one cooler. This award is a sore subject for many members of the World’s Coolest Dude Committee. The Committee, usually very dedicated to seeing trends ahead of time and identifying the zeitgeist even in its most obscure form, missed the mark when it did not award Kerouac the World’s Coolest Dude in the late 1940’s when he was having all his adventures and forming the Beat Generation. Instead, the award was given to Kerouac when he had already begun the descent into alcoholism and had moved far beyond the “Sal Paradise” that appeared in the pages of On the Road, which was published in 1957. 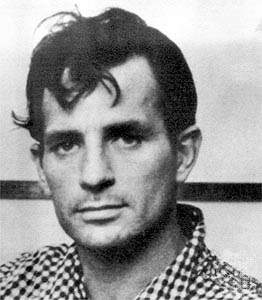 Kerouac immediately became a celebrity upon the publication of On The Road. The novel was hugely influential and many beatniks and other youths made pilgrimmages to Kerouac’s home in Florida, where he lived with his mother. Kerouac notoriously referred to these incidents in Big Sur and his initial fear of impending fame in Desolation Angels. By the time On The Road was published, Kerouac was no longer the youthful optimist, but more a depressed, drunken, Catholic mystic who was baffled and upset by all of the beauty in the world. He still revered the beat attitude, from the word beatitude, but it no longer belonged to the jazz of his youth—it was closer to the Catholic glory of sacrifice and crucifixation, the place he had initially reappropriated the term from. This contrast, between widespread popularity and personal torment made Kerouac a complicated figure. He was the World’s Coolest Dude, but not in the way you’d tend to expect. When you’re seventeen, you’re usually applying to college and trying to ask a girl to the prom where you hopefully can get laid. Not Pele. In 1958, Pele was seventeen years old and at the time was the youngest player to ever play in the World Cup. He scored his first goal of the Cup, and only goal of the match, in a victory against Wales in the quarterfinals. In the semifinals, Pele scored a hat-trick as Brazil defeated France. In the final, Pele scored two goals as Brazil beat Sweden to win the World Cup. The first goal of the match, where Pele lobbed the ball over a defender and then scored on a clean volley shot, has been voted one of the best goals in the history of the World Cup. Overall, Pele scored six goals in the four tournament games that he played in. At seventeen, most of us were smoking weed and listening to Led Zeppelin; when Pele was seventeen he was scoring goals and crying in triumph. There’s a reason he won the award. 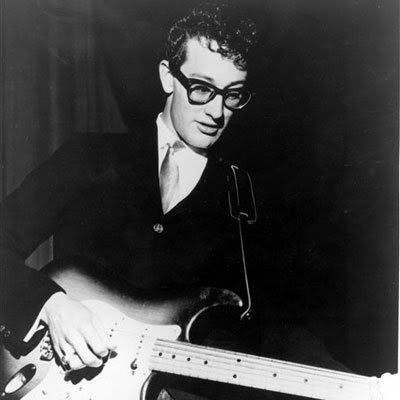 Buddy Holly died in a plane crash on February 3, 1959. This day is better known as “The Day the The Music Died.” The Committee gave the first posthumous World’s Coolest Dude Award to Holly in 1959. Part of the rationale was done as a memorial to Holly’s death, while part was done to recognize the huge influence he had on rock n’ roll music at the time. Holly’s peak started in 1957 and was still continuing at the time of his death. Look at the singles he released between January 1957 and February 1959: “That’ll Be the Day,” “Words of Love,” “Peggy Sue,” (which was the B-side to “Everyday”! ), “Everyday,” “Oh Boy!,” “Maybe Baby,” “Rave On,” and “It’s So Easy.” That is basically half of a greatest hits compilation released over the course of twenty four months. He also released “Not Fade Away,” his iconic version of “Mailman, Bring Me No More Blues,” and my favorite track “Crying, Waiting, Hoping.” Elvis may have popularized rock n’ roll, but Holly pushed the envelope creatively by writing many of his own songs and bringing a certain level of intellect to rock music (besides the glasses). In 1959 you could argue that the figure of Buddy Holly loomed larger over popular culture and rock music than Elvis Presley’s. The fact that you can make that argument when he recorded music for basically two years is phenomenal. Mantle finished second in AL MVP voting in 1960, was voted to his ninth consecutive All-Star Team and won his fourth home run crown. At the time, when you added that run of the mill season to the seasons that come before it, you got the following: 6 World Series Championships, 1 AL Batting Championship, 2 AL MVP Awards (including finishing third in voting in his second season), 1 Triple Crown, 1 AP Male Athlete of the Year Award, 6 seasons with a +.300 batting average, 3 +40 home run seasons, 7 +90 RBI seasons, 8 +100 run seasons and 7 +150 hit seasons. 1960 was perhaps the end of Mantle’s prime, but it signified the consistent power and all around excellence he displayed, which is what made him one of the, if not the iconic athlete of the 1950’s. Check back next week for the next installment of the World's Coolest Dude 1911-2011 list. * Asterisk means that death played into the ultimate decision to give the award to the winner of a specific year.